We are located at 418 West Touhy Avenue, Park Ridge, Illinois 60068. Parking is available in our lot, north of the church, at (GPS) 408 Grant Place. I have been privileged to serve in ministry at the First United Methodist Church of Park Ridge for almost four years. In those four years, I have come to appreciate First UMC of Park Ridge’s strong commitment of being a “reconciling congregation,” one that is fully inclusive of lesbian, gay, bisexual, transgender, queer and questioning persons of all ages. As a United Methodist church, we are part of a global and connectional denomination with thousands of congregations and communities of faith with over 12 million members under the United Methodist tent. We are governed on a macro-level by The General Conference (GC) of The UMC (a quadrennial gathering of 900 delegates, bishops and denominational staff) with certain but limited power within our local congregation to structure our identity and mission. The recent actions of the General Conference to increase restrictions on ministries of LGBTQ inclusion within congregations such as ours are incredibly painful to bear. By its exclusionary actions, the General Conference did incredible harm to the body of Christ and specifically to LGBTQ persons, families and allies, and congregations. Millions will grieve this action including several members of First UMC. 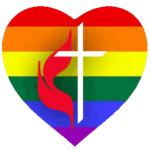 And yet, despite such oppressive, denominational action, the faithfulness of First UMC will remain strong for we will remain in love and solidarity with the LGBTQ persons who are members of our families and members of our church and community at large. I and the congregation celebrate the sacred worth of all children of God. We remain resolved to continue in ministries of full inclusivity and welcome. offering spiritual growth and opportunities for compassionate service. We see all persons as created in the image of God and bearing sacred worth and dignity. physical or mental condition, marital status, family situation, or economic standing. Looking for rental space(s) for your organization? Affordable first and second floor spaces for rent in the heart of Park Ridge at 409 Grant Place, the east wing of First United Methodist Church. These spaces are flexibly available on a yearly, monthly, weekly, daily, or one-time-only basis. Ample parking, transportation, and the amenities of Uptown Park Ridge are nearby. For more details, contact the church at 847-825-3144.